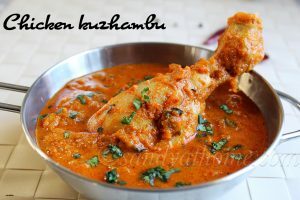 This chicken kuzhambu is a spicy, aromatic, flavorful and coconut based gravy prepared without using tomato is usually served with rice, chapati, dosa, idli and parotta. 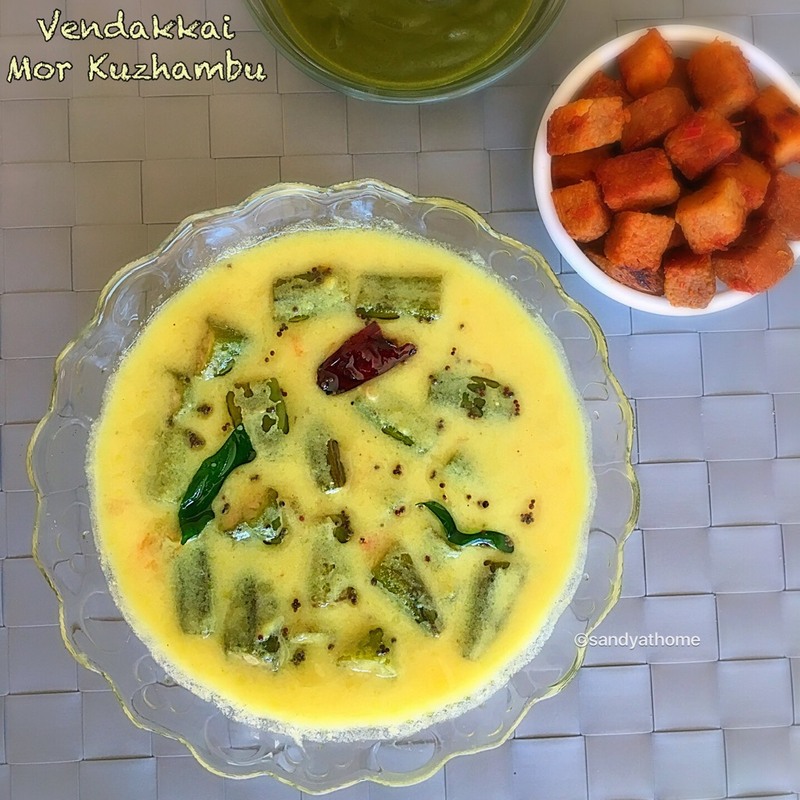 This simple and easy to make kuzhambu is distinct in taste due to the coconut paste used in the making. 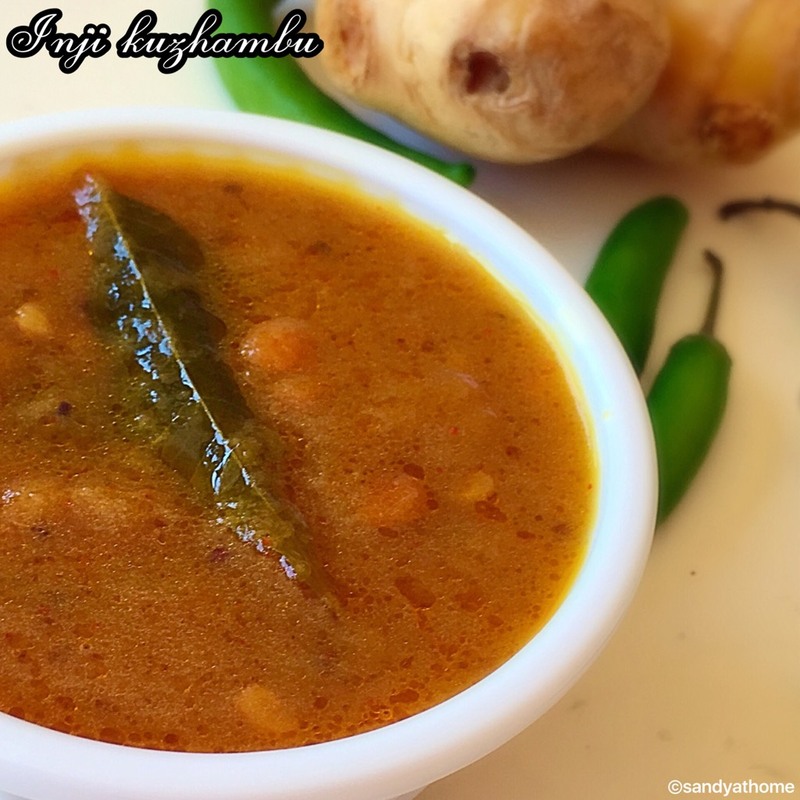 This is a little spicy kuzhambu than the regular one that we prepare at home as it involves both dried red chilli and green chilli in addition to peppercorn and chilli powder. You can cut down the spiciness according to your taste and preference. 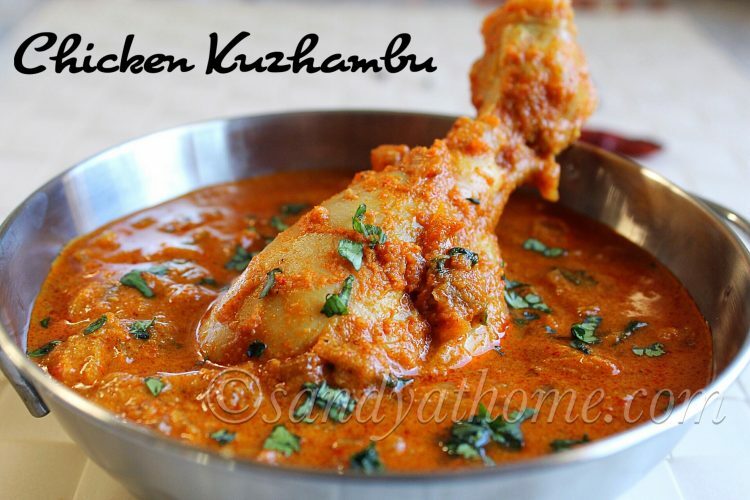 Below is the chicken kuzhambu making video to make it easy for beginners. I am super excited about this post as this the first ever video that i edited on my own without my hubby’s help and i think i did a good job. So lets get to the making! 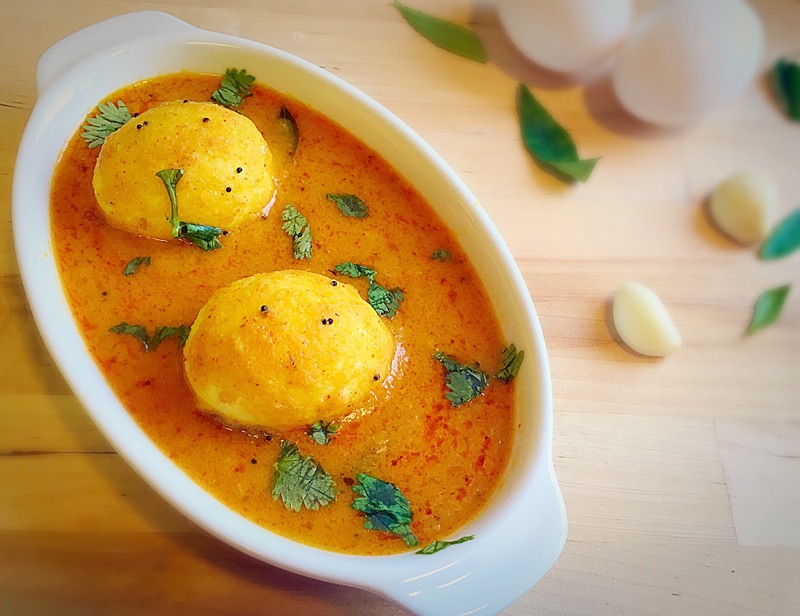 In a blender add grated coconut, dried red chilli, cumin seeds and fennel seeds. Grind it into fine paste adding little water. Heat oil in a pan, add chopped onion and green chilli. Saute well and add ginger garlic paste. Saute well until the raw smell goes. 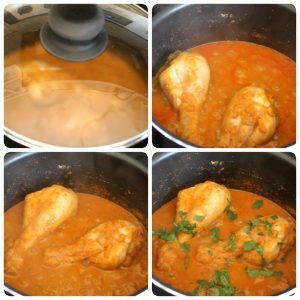 Now add chicken drumstick, salt, turmeric powder, red chilli powder, coriander powder and garam masala powder. 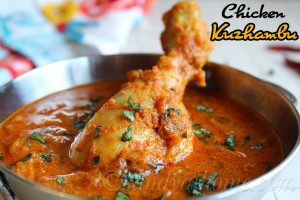 Mix well so that chicken gets well coated in masala. Now add the ground masala and mix well. 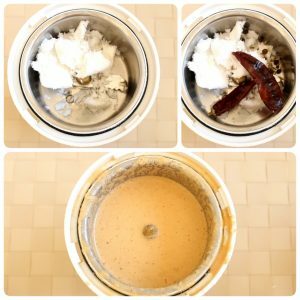 Now add enough water to get kuzhambu consistency. Cover it with a lid and cook in medium flame. 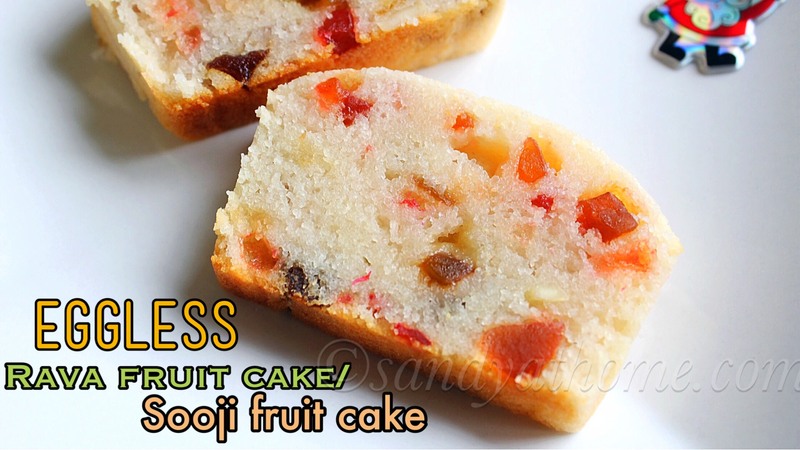 Give it an occasional stir to make sure it does not get burnt. When chicken gets cooked and everything looks combined put off the flame. 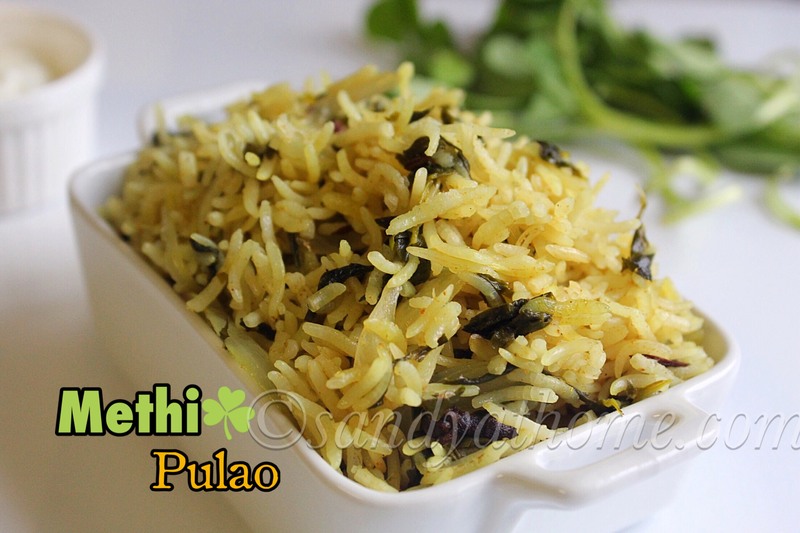 Add chopped cilantro and serve it with rice or chapati.